When visiting Amsterdam the art of the Dutch Masters is a must-see. But what if you can become an artpiece of a Dutch Master. 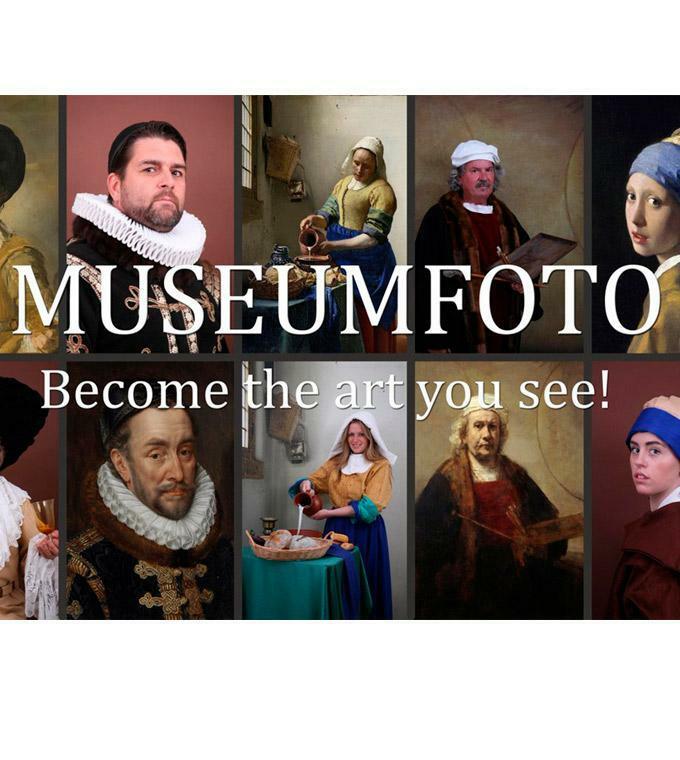 Visit Museumfoto and within 10 minutes you have your own masterpiece and a lovely memory of Amsterdam. Owners Britt and Peter are happy to welcome you in their cosy photostudio near Dam Square! Option 1. A photo of 10x15 cm or a postcard in golden wrapping paper. Option 2. A photo of 10x15 cm and a postcard in golden wrapping paper. To be sure: always check the website for openinghours!